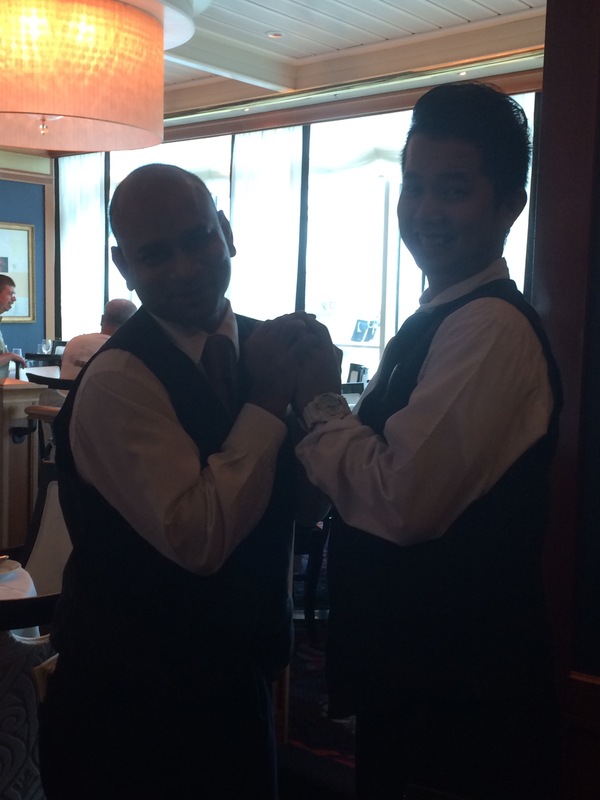 Meet Anselm and Melvin– our head waiter and assistant waiter in the dining room on the cruise. The first night, we had to switch tables, we weren’t supposed to be in their station but I believe that God had us moved so we could meet Anselm and Melvin. That night at dinner, my grandfather was wearing his “PAPA: The man, the myth, the legend” shirt and Melvin asked about it, from then on he started calling him PAPA every time he saw him. By the end of the week he was part of the family. This is a family photo- featuring Melvin, our new family member! Right there by his Papa! These two men left a profound impact on my life. We learned bits about their families, and what they give up to take care of their families. These two guys leave home for 6 months at a time. They rarely ever get a day off. They usually have at least 2 jobs on board every day. They work hard. They sweat, they lose sleep, they miss their families- all while making sure we are having the best vacation of our lives. Anselm was given too many tables and had to literally rush every night to make sure we were fed and done before the next seating arrived. The poor guy worked harder than I’ve ever seen anyone. And he always found a few minutes to try and chat with us. I wish I could go back and have another talk with both of these guys. I wish I could have had longer to ask them if they knew Jesus. We talked about the Lord and we told them we were praying for them when we left. But we never had enough time to ask them questions about what they believed. One night I wanted to just not order food so maybe we could just chat with them. I pray for them now that their families are well and that they know Christ. These men made me so thankful for many things. One thing was the fact that I have a father that works his hardest just like them to give me the best life possible. Secondly, I’m thankful my family has a relatively only 8-5 job instead of a 6 month at a time job. Lastly, they made me thankful for my Papa and my Momo. The last night Melvin asked my papa, “Papa, how old are you? ?” And my grandpa laughed and begrudgingly answered 73. Melvin answered, “oh wow papa, you don’t look 73…. (long pause) you look 75!” We all laughed so hard that the guests on the next floor probably heard us. But after that, Melvin explained that people in his country don’t live that long. He said that papa reminded him of his grandparents that have gone on to heaven. Boy am I thankful I still have my grandparents. I miss Anselm and Melvin. They really became part of my family. 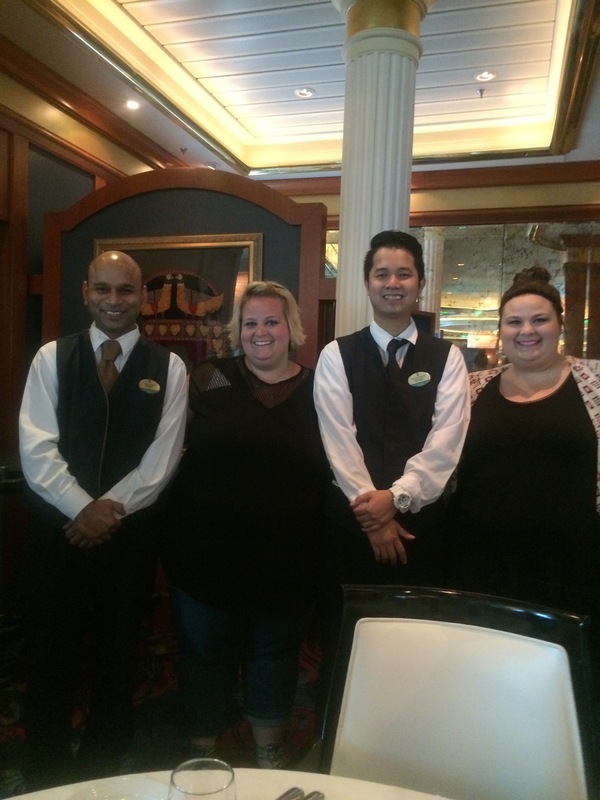 They were gracious, kind, funny, and welcoming. They made our vacation 10xs better. 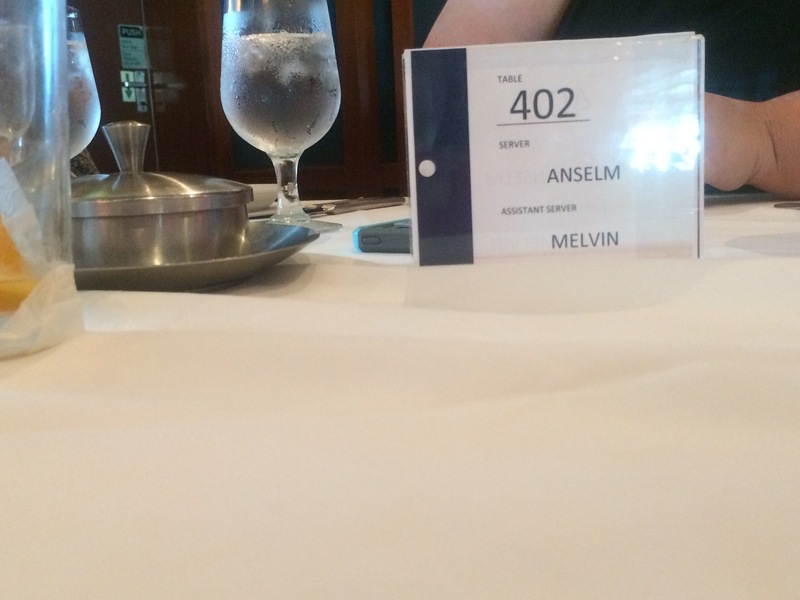 I’m thankful that the cruise messed up and originally had 7 people at a table for 4 which caused us to have to move tables…where we then got to meet Anselm and Melvin. We said, pose! And this is what we got. Even other nations know the humor of awkward prom poses! 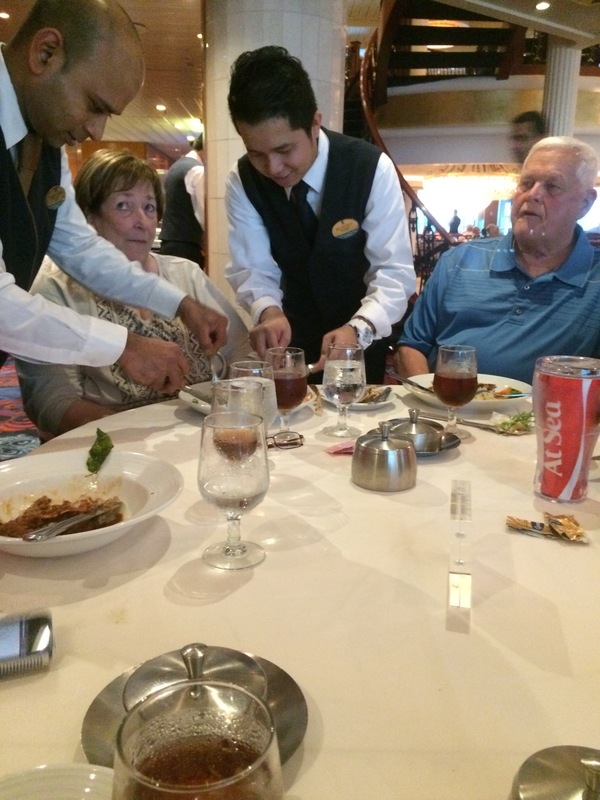 My grandma had shrimp and Melvin offered to take the veins out. Well Anselm quickly came by and inisisted Melvin was doing it wrong so they both began cleaning and de-veining my grandmas shrimp!